Looking for some Mother's Day gift inspiration? 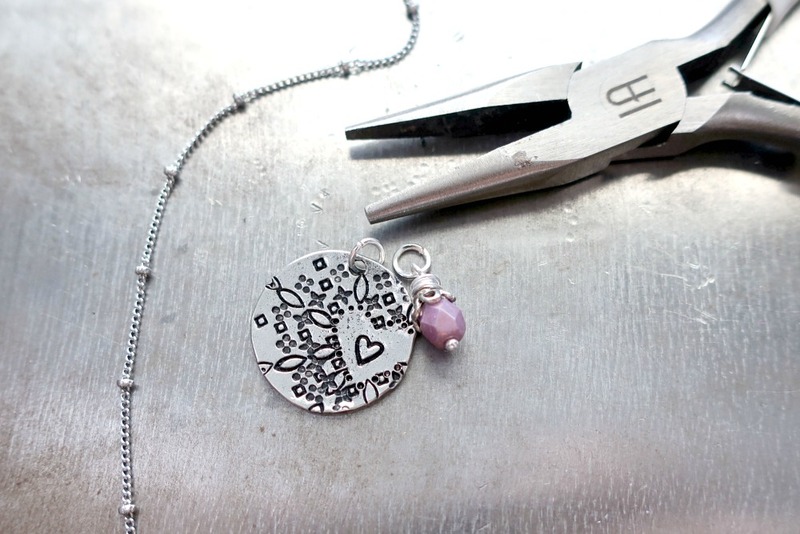 How about a custom, handstamped Mother's Day heart necklace? 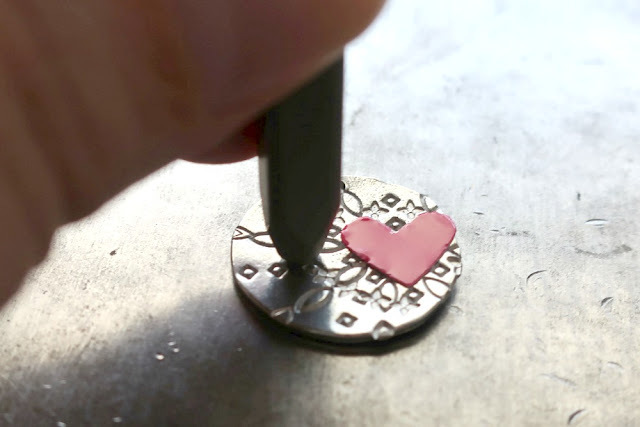 Adrianne Surian at Happy Hour Projects show us step by step how to make this super cute Mother's Day gift - or really, a gift you can give to someone special for a birthday, anniversary or just because. Let's get started! Hey friends! 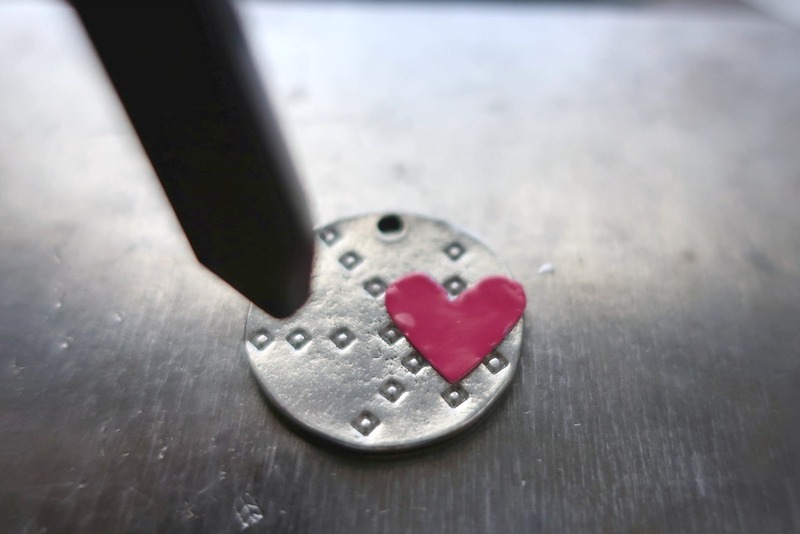 Who's making hand stamped jewelry to get ready for Mother's Day? (Or who would like to learn?) 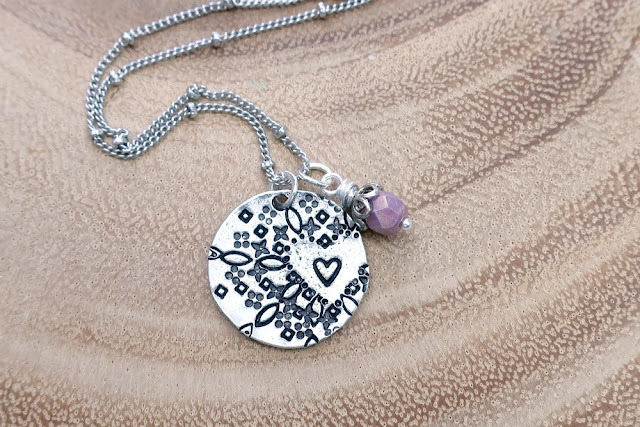 I've got a simple idea that goes beyond the classic mommy necklace to share with you today using small design stamps to create a mandala-style pattern. And using mandala shapes for your design doesn't have to mean you have to stick to traditional circular patterns. This mandala pendant features a heart at its off-center focal point. Concentric patterns are really popular right now, and mandalas are popping up in trend jewelry and decor. Setting the focal point off center and shaping it a little differently are ways to make your piece interesting and unique - you don't have to start in the middle! I'm using supplies from today's post sponsor, Beaducation, and I'll share links to where you can find the products I used in the list below. Just click if you would like any additional information! Use a punch or a pair of scissors to cut a small heart from craft vinyl. You'll be keeping this space empty and allowing the negative space to become the heart of the design. 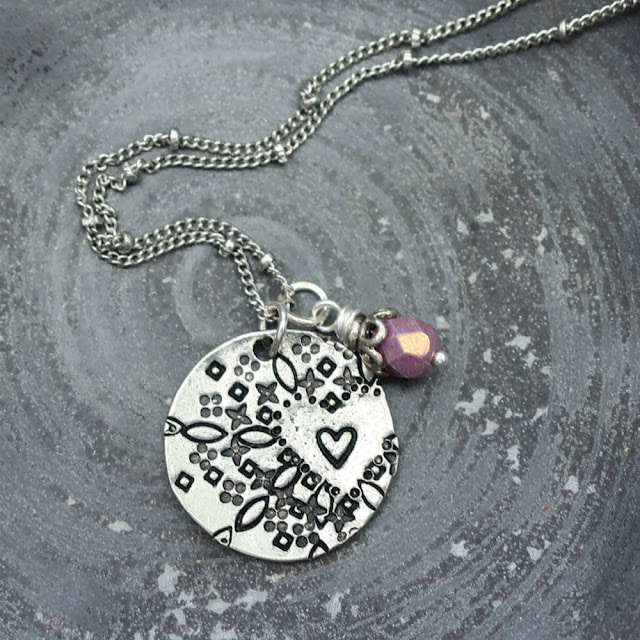 In lines radiating outward from the center of the heart, use a small design stamp, like the tiny diamond design stamp. You may notice that my stamps got a bit crowded here - overlapping designs are not typical for mandalas. By nature, mandalas are made with patience and perfection. Guess what? That's just not me. I still like how the designs go from tight, near the heart, to spread out closer to the edges. The main thing to remember is to try to keep your stamps in rows according to that center shape (in this case, the heart). I also emphasized the outer edge of the heart by using the dot stamp (or period stamp) around the edges to help define it. 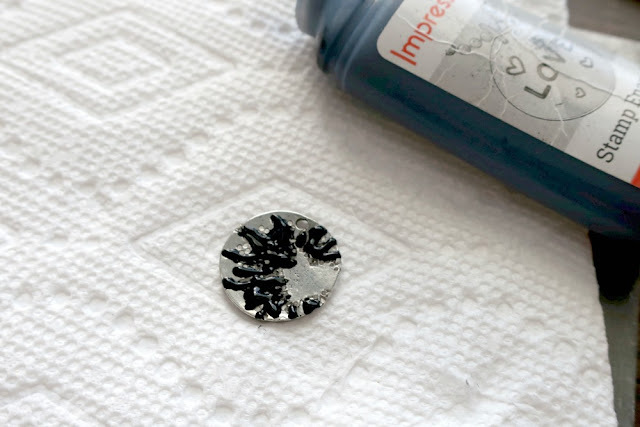 Next, I used stamp enamel to darken my impressions. It's the fastest way to get coverage over a series of impressions like this - you just squirt it on, rub it in, and then polish the disc clean. You'll notice there is no heart stamp in the center of the example above. I went back and forth on this! Did I want an initial, did I want to leave the negative space to make its own statement. Finally, I decided that adding the 3.5mm heart from the tall heart trio was the way to go. Feel free to experiment here, though! For larger designs, you can fit initials or even names here. For me, pendants need charms! You can use birthstones here, or use your favorite color. I used this soft purple color to create my own beaded charm - just slip the bead and a bead cap onto a jewelry head pin. 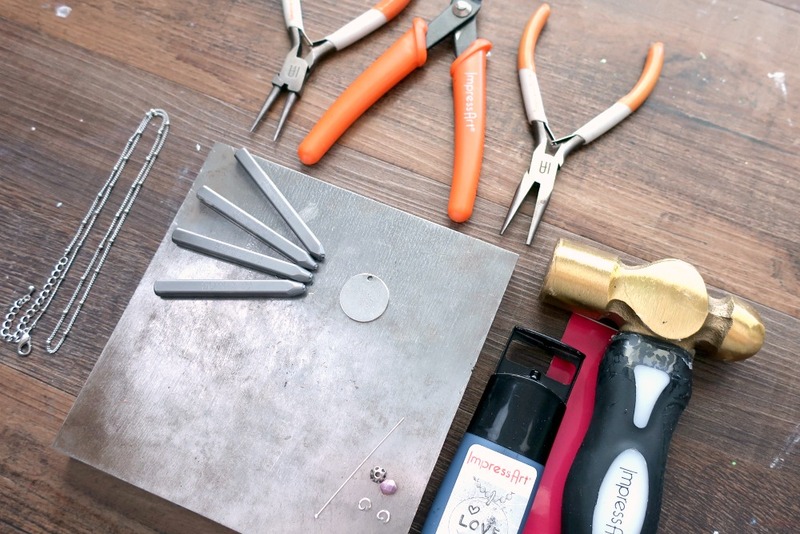 Grip the pin with your round nose pliers just above the bead. Wrap the wire end of the pin around the pliers, forming a loop. Then, wrap the wire end around the pin in a spiral, filling the space between the loop and the top of the bead cap. Trim away any excess. Finally, add jump rings to your pendant and charm, and string them onto a necklace chain! For this size pendant (just under 1 inch) I usually suggest a 18-20" necklace chain, but there's no rule here. If you enjoy a longer chain, then by all means, use anything up to 36"! This subtle heart design is trendy and catches the eye, and it makes a great gift for someone you love (hint hint, Mother's Day gifts)! 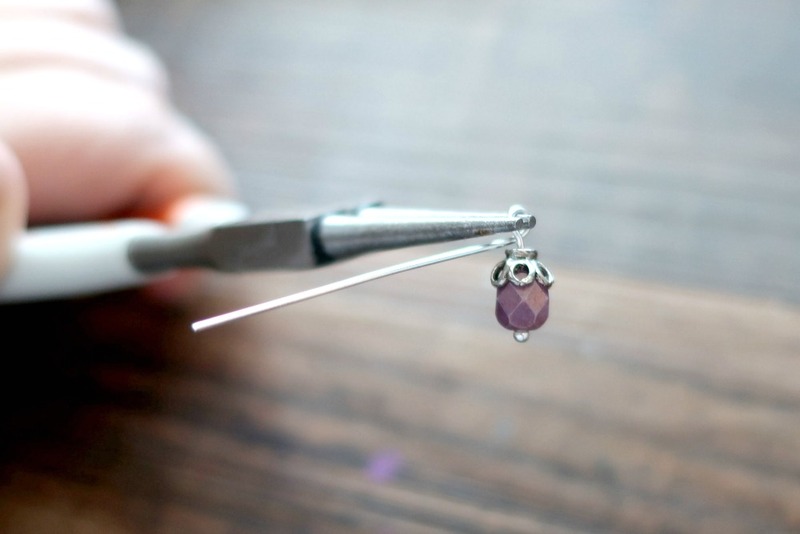 Thank you Adrianne for another amazing step by step jewelry making tutorial!